After several years of consideration and preparation, the first of Alexander Shulgin's notebooks (produced from the 1960s through the 1980s) were scanned and made available online in 2007. 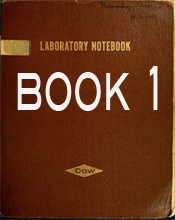 The notebooks fall into two categories: Pharmacology books (mainly comprised of experience reports about a wide variety of psychoactive substances), and Chemistry lab books, (comprised of lab notes, "dirty pictures" (sketches of molecules), chemical processes, formulas, hand-drawn graphs, and spectra print-outs from analytical instruments). The goal of this project is to create public, searchable versions of these valuable historical documents. The searchable PDFs look best displayed in 2-page spreads, 'Fit to Screen'. Erowid crew member Shawn has been leading the transcription project for years, and he and a few other volunteers have put in countless hours working on these notebooks. Shawn has produced manually-transcribed, hand-designed PDFs that make Sasha's notebooks readable and searchable. A truly amazing effort. The Shulgins' trusted assistants, gregM and Tania, did the labor-intensive process of redacting the names of individuals whose privacy should be protected. The scanning was facilitated by Archive.org and performed by gregM and Raj Kumar. Paul Daley and Erowid staff continue to digitize and hand-redact additional lab and notebooks. Erowid continues to seek volunteers to transcribe the texts and edit images to make them more readable. We are currently at the stage of transcription and proofreading of transcriptions. If you would like to help with this project, please Volunteer Today! Mar 2018: Published Pharmacology Notesbook "D" after transcription and conversion to searchable PDF format. Sep 2017: Published Pharmacology Notesbook "C" after transcription and conversion to searchable PDF format. Apr 2017: Published Pharmacology Notesbook "B" after transcription and conversion to searchable PDF format. Feb 2017: Publication of The Art of Legibility, about the process of transcibing Shulgin notebooks, by Shawn Corrado. December 7, 2016: Completed searchable version of Pharmacology Notebook "A". August 2016: Added the last of the main Shulgin pharmacology books that include lab notes, Book 9. The team is also going back through earlier books and doing fixes as readers send in corrections or clarifications of hard-to-decipher words. Covers 1985-1986, dedicated to reports from others. August 2014: Shawn continues to work on transcribing, manually redacting, and creating searchable PDFs from the original photographs of the notebooks and lab books. 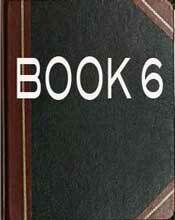 In 2014, Shawn has completed Pharmacology Book 4 and 5 and we are working on the next set of scanning. June 23, 2014: In the searchable PDFs, some words are highlighted in yellow indicating that the team was unable to determine what the word was in the original hand written text. We've received several corrections and sleuthings that allowed us to update the PDFs with the correct word. 2013: In March 2013, we released searchable Lab Book 2 (PDF) from the Pharmacology notebook series. 2012: After many many hours of dedicated volunteer time, a proof-of-concept public beta version of searchable Lab Book 6 (PDF) -- one of the Chemistry lab books -- was released in September 2012. This was followed in December 2012 by the release of searchable Lab Book 1 (PDF) from the Pharmacology series. 2009: Publication of "Alexander Shulgin's Pharmacology Lab Books: Book 2 Notes"
2007: The first of Alexander Shulgin's notebooks (produced from the 1960s through the 1980s) were scanned and made available online in 2007.
v1.0 - Sep 27, 2012 - Searchable Chemistry Lab Book 6 (PDF) added. v1.1 - Dec, 2012 - Searchable Pharmacology Notebook 1 (PDF) added. v1.2 - Mar 21, 2013 - Searchable Pharmacology Notebook 2 (PDF) added. v1.3 - May 21, 2013 - Searchable Pharmacology Notebook 3 (PDF) added. v1.4 - Feb 27, 2014 - Searchable Pharmacology Notebook 4 (PDF) added, clarified naming, minor updates, added more acknowledgement of the herculean efforts of Shawn. v1.6 - Sep 24, 2015 - Searchable Pharmacology Notebook 6 (PDF) added. Minor edits to previous PDFs. v1.7 - Apr 11, 2016 - Searchable Pharmacology Notebooks 7 & 8 (PDF) added, Apr 2016 progress note added. v1.8 - Aug 3, 2016 - Searchable Pharmacology Notebook 9 (PDF) added, progress note added. v1.9 - Dec 7, 2016 - Searchable Pharmacology Notebooks A (PDF) added, progress note added. v1.10 - Feb 13, 2017 - Split older updates from last-12-months updates, added Art of Legibility. v1.11 - Sep 7, 2017 - Searchable Pharmacology Notebooks C (PDF) added, progress note added. v1.12 - Mar 5, 2018 - Searchable Pharmacology Notebooks D (PDF) added, progress note added.